It’s painful. I’m not going to lie. But once you dive into some juicy content books that give you advice and resources, it actually turns into a mega-organizing opportunity. And I LOVE organizing. Web Comm is in the process of our third homepage redesign. While this is SUPER exciting, the deeper we dig, the more we realize just how much content we are going to need to produce. Our strategy in the past qualifies us more as content aggregators than producers. But that’s all changing. We are evolving from curation to creation. As a result of my binge reading I wanted to share some insights with everyone. This isn’t a review per say, but just some snippets that will hopefully convince you that these books know what they’re talking about. They are worth every penny. 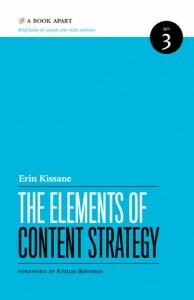 Or feel free to borrow our copies and start building your own content strategy! This is the perfect opportunity for us to start actively utilizing an editorial calendar. We use Google Docs because it is easy to manage and update with our team. We have a couple of different calendars that work with each other, but they all require a team effort. We plan to evaluate how these calendars are working for us at the ending of each semester, and modify as necessary. So true. It’s good to monitor the situation and be the ones releasing official information. We recently came up with a detailed plan of action in case of emergencies. What if we weren’t able to update the OU homepage, then what? Now we have this plan ready. Erin, you had me at “press releases.” My new mission is to convince the world that press releases do not belong on websites! This book lays it all out and is a super fast read. These are quite handy once you have identified content needs and knocked out your style guide. Not only do they save time, they help with consistency. 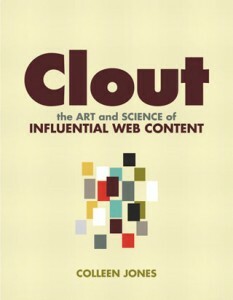 One of the super helpful things about this book is it gives you real advice for how to conduct a worthy content audit. The more thorough the audit, the better you can gage how much work you and your team need to do. Halvorson rocks because she gives us tips for numbering, items to rate on each page, and specifics to look at regarding the project’s purpose, scope, goals, and user needs. Needless to say, I took a lot of notes on this one! Maybe I’m the only one who gets tickled by consuming content about content. Reading about the web in a book may seem backwards, but it really does give you some downtime from your screen and an ability to explore things you probably already do or want to do. I hope I’ve convinced you that these books are a great start. Let us know what you think! 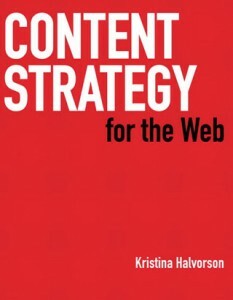 Content a list apart, books, brain traffic, buidling, clout, colleen jones, content, content strategy for the web, Copyblogger, editorial calendar, education, elements of content strategy, erin kissane, high, Higher Ed, kristina holvorson, page templates, press releases, Resources, time. permalink. I love reading about this, too, and I’ve been reading two new books on the topic. picked up two newly published books that go beyond the 101 of “what is” and “why” of content strategy by getting down to the nitty gritty and providing actual resources for a start-to-finish content strategy project. They are: Content Strategy at Work by Margot Bloomstein; and Managing Enterprise Content: A Unified Content Strategy by Ann Rockley. Loving every chapter.